Cubic Applications, Inc., a mission support services subsidiary of Cubic Corporation, has received a new contract from the Secretariat of the Inter-American Committee Against Terrorism of the Organization of American States (OAS) to provide seaport security assessments and training for six ports in Colombia, Mexico and Peru. Ports included under the new contract include Buenaventura in Colombia; Manzanillo, Coatzacoalcos, Cozumel and Los Cabos in Mexico; and El Callao in Peru. 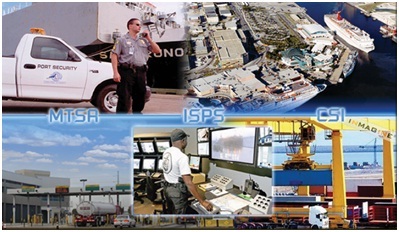 Cubic will examine physical security, cargo and access controls, customs procedures, critical infrastructure, screening techniques for passengers and crews, passenger and cargo security, and emergency consequence management capabilities at each port. This includes assessing cruise ship security procedures and how government agencies identify and detect contraband related to either security matters or illegal trafficking. The Cubic team will also offer appropriate mitigation strategies and conduct training need analyses to identify the specific topics and skills needed to improve each port’s security, counterterrorism and law enforcement capabilities. OAS will approve the training programs for all six ports. Under an OAS contract completed last year, Cubic provided security assessments and training to the independent Caribbean island nations of Trinidad & Tobago, and Saint Vincent & The Grenadines, and conducted consequence management exercises in Trinidad and Mexico.